Africa’s biggest country Algeria is usually associated with the Sahara desert, which consumes much of its interior. Yet, in times of Glice® synthetic ice rinks, the rules of imagination are rewritten, so that ice skating and desert are no longer mutually exclusive: in February a first Glice® ice rink was assembled in one of Algiers shopping centers and has seen many novel skaters since. 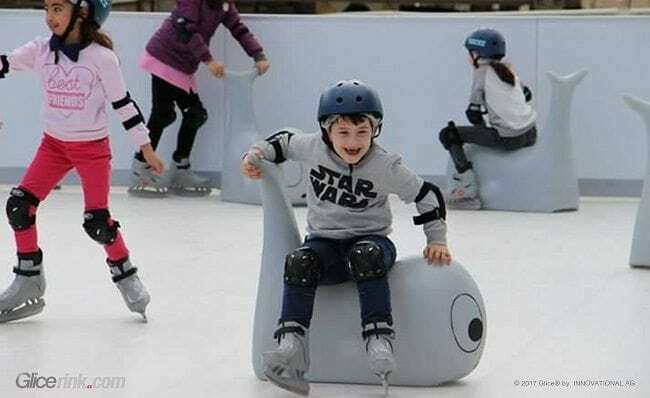 A new arrival to the desert state’s set of leisure activities, ice skating resonates very well with the citizens and especially kids seem to take great pleasure in it. Glice® skating aids make it easy and safe for the youngsters to get a first feel of the synthetic ice and are part of an ample high quality accessory line available for Glice® ice rinks.